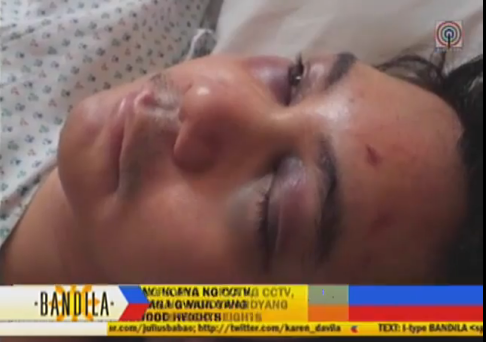 Because of what happened on Deniece Cornejo’s condominium where Vhong Navarro was mauled, he has to undergo reconstructive surgery due to damages on his nose. Navarro was brought to the operating room at 9:30 pm and the operation might last for 5 hours. It means to say that at around 2 pm of January 28, 2014 will be the time for the operation to be finished because it has started on the same date. Prayers for Vhong Navarro are spreading all throughout the social media wherein fans are expressing their grievances on what happened to their idols. Navarro is suffering from what happened to him. He said that there is some kind of clogging on his nose that does not allow mucus to come out that gives him sinusitis. There is also a permanent damage on his eye but he worries the most about the condition of the back of his head knowing that it was a dangerous thing to experience. He is hoping that he will not experience conditions that will threaten his life because if that is the case, then he will decide to undergo brain surgery or operation. The desire of everyone is justice. No matter who is saying the right thing, may justice will prevail. We pray that Vhong will be able to recover well and that the truth will come out in order to solve the issue and for people to see the reality. There are so many things that this issue will undergo but for now, let us just hope for Vhong’s faster recovery from the operation. Be updated on this case in our future post here.